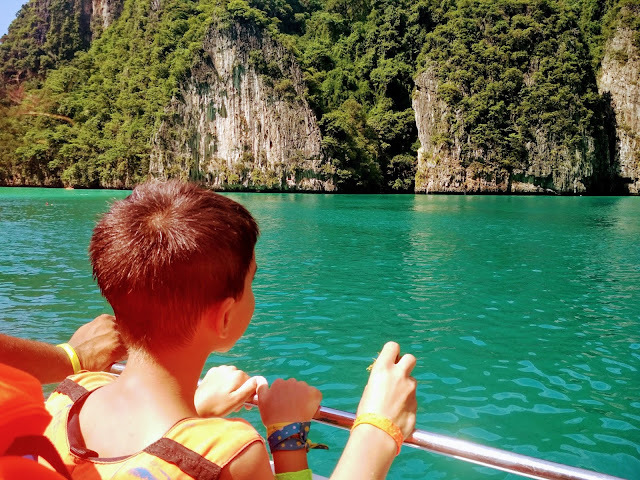 In addition to the wish to discover Bangkok, our family trip to Thailand had as its main objective to explore the warm waters of the Andaman Sea. 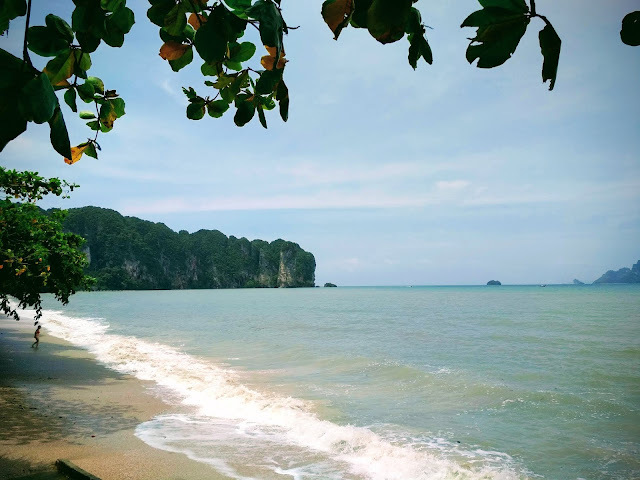 In order to carry out this exploration, we chose to build our base at Ao Nang beach (you can see here why we chose this place instead of Railay Beach and Krabi) and, we are forced to admit that it was a good choice, having an account of our objectives. But of course we did not want to restrict ourselves to Ao Nang beach, which is not at all the most beautiful in the area, so we had several objectives that we want to share with you, in the hope that it may give you some tips when you organize the itinerary for your family travel. So, we hope our 4-day itinerary in Ao Nang, Krabi, will help you plan your family trip. 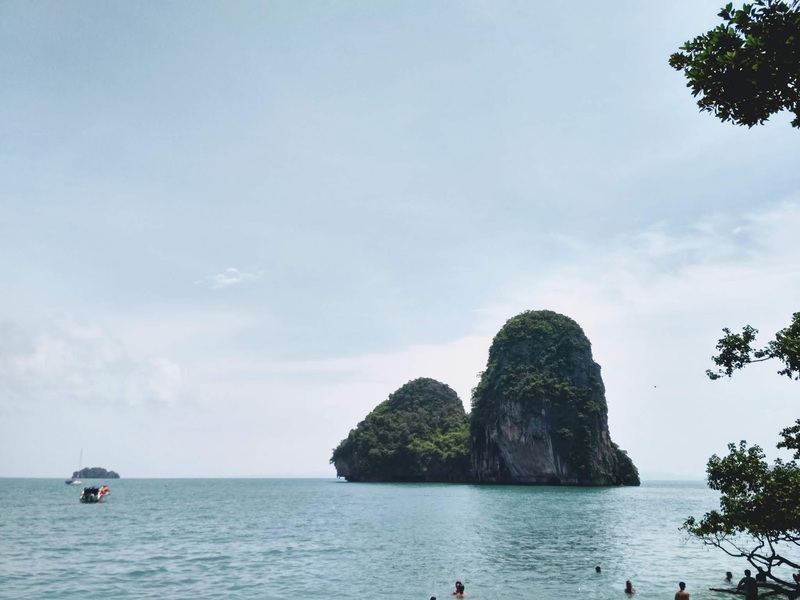 Of course much remained to be explored but we felt that the 4 full days (5 nights) we stayed at Ao Nang Beach were wonderful and a great experience. Our stay was at the Ibis Styles Ao Nang Hotel (we made the reservation on the Booking site) and, after a wonderful breakfast, we spent a few hours exploring the pool. After some hectic days on our trip, we tried to make this first day in Ao Nang as relaxed as possible for our family. 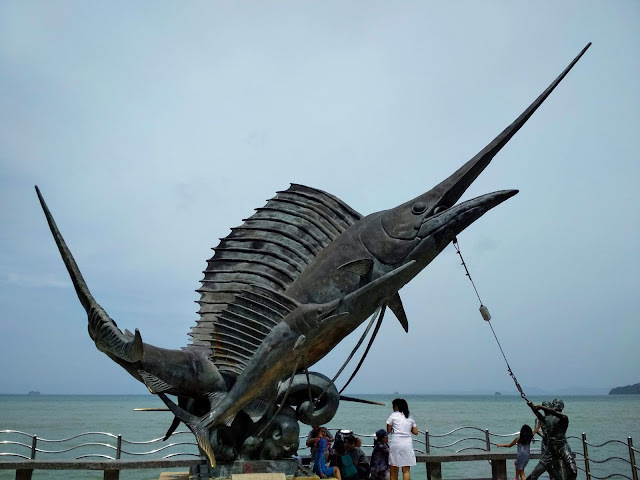 After a few hours to increase hunger, we went for a walk around Ao Nang and, although it is not a big city, it is full of life and possibilities in terms of activities to do. 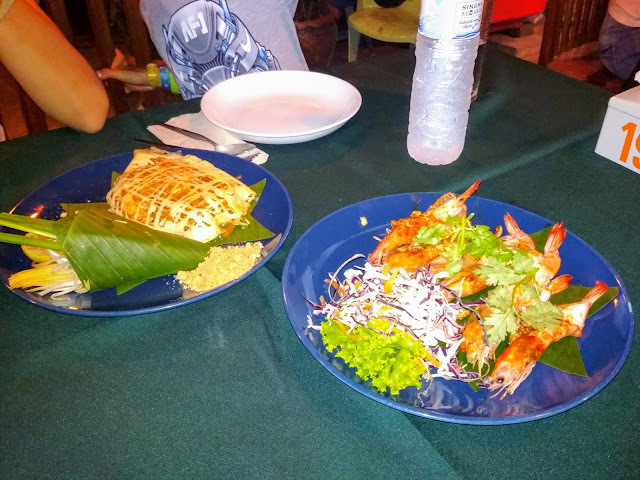 This is also true of food, which has a wide range of food options, especially Thai food, from which we had the best experiences. 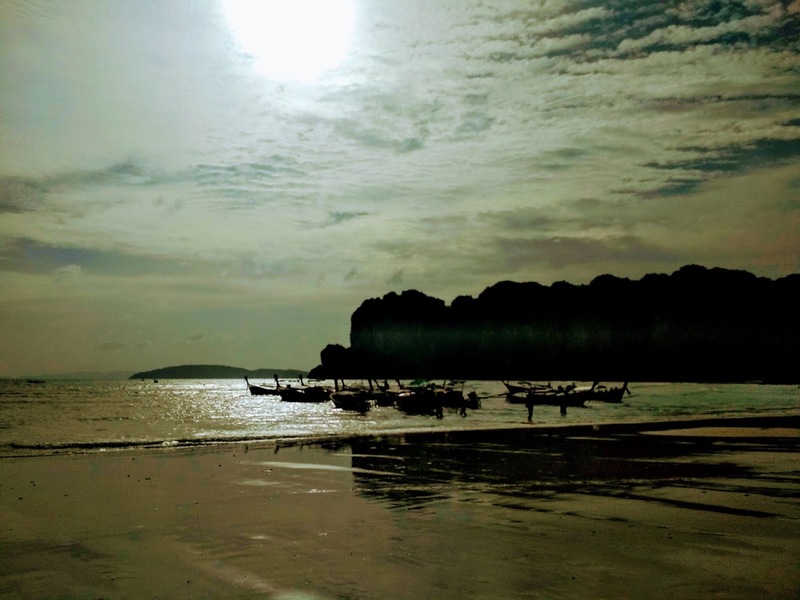 After a delightful lunch, we tried to stroll and explore the beaches of Ao Nang Beach and Noppharat Thara Beach which gave us a good start to the beginning of a wonderful stay, although, although we marveled at these beaches, they would not compare to those that would follow along with our family travel. 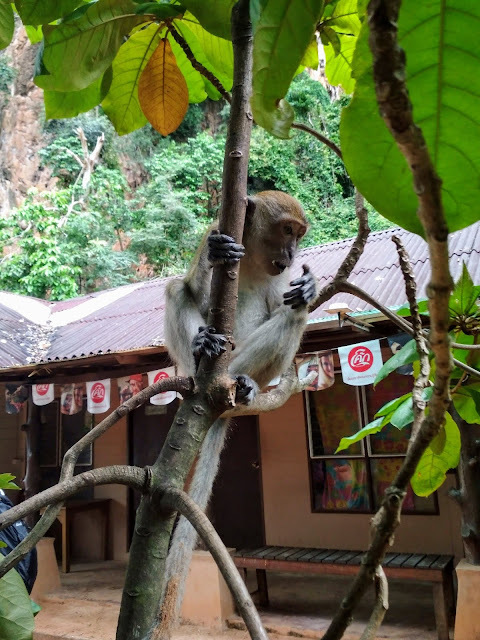 Something that we were also exploring on that first day was the different tour offers and, we must say we were even happier to have stayed in Ao Nang because the offer is huge and for lower prices than we had explored on the internet case we had stayed in Phuket. On our second day in Ao Nang, we chose to take the boat and spend the day in Railay. 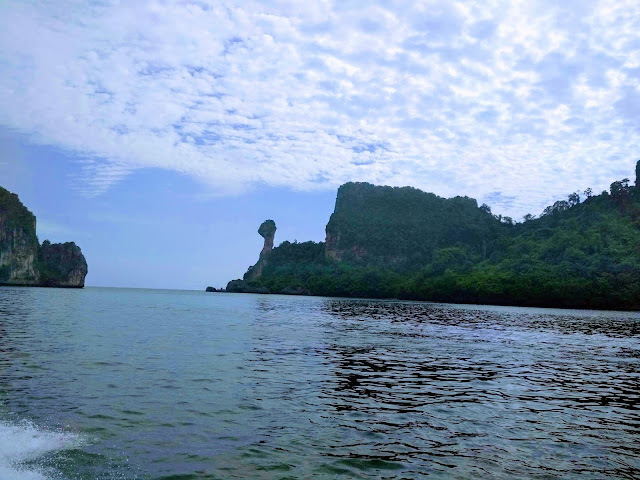 Railay may seem to be an island, for having to travel by boat, but what happens is that it is a peninsula surrounded by mountains and accessible even by boat only. Railay is not an island but, it is not a beach, there are more, beautiful and different, all paradisiacal. 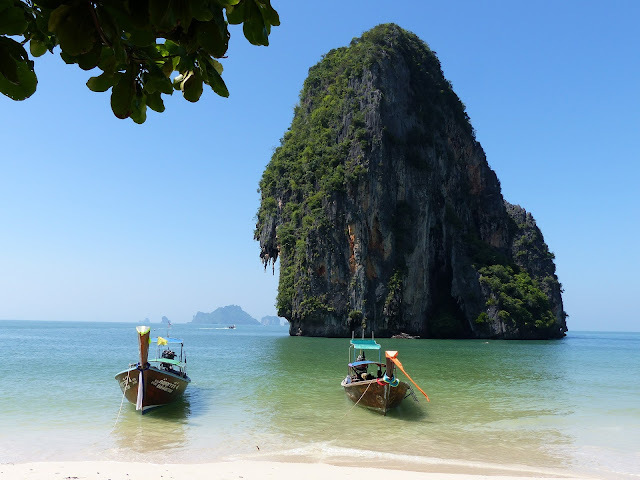 The arrival of the boat is made by Railay West, a beautiful beach, a paradise of warm waters and that will leave you enchanted upon arriving. It is a beach with little ripples and we feel very safe for children. It is also in this area that most of the restaurants in the area are located, and even for prices that are not extremely expensive, considering that it is located in an isolated and very touristy place. And that's where we had lunch, by the sea with a paradisiacal landscape. And if Railay West was already marvelous, you'll fall in love with one of the most beautiful beaches you've ever seen, Pra Nang Cave Beach. 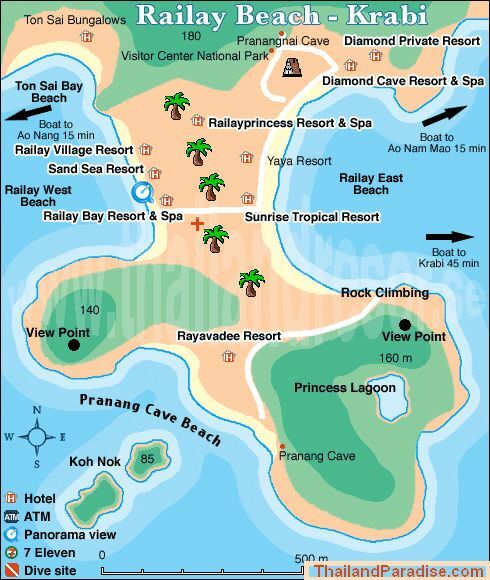 The road from Railay West to Pra Nang Cave Beach is easily reached on foot (you can see the path here on Google maps and it does not present any difficulty for those who travel with children) and, besides a wonderful beach, will reserve a surprise, the Pra Nang Cave. And we speak of surprise, because this is not a cave, is decorated with several phallic objects, whose justification for the beginning of the tradition is not quite certain, but nowadays the locals usually place there objects with phallic shapes with the intention of having more fertility and prosperity. We do not know if it works, but the effect is completely different from what you would normally expect to find in a cave, and prepare to answer some questions to your children. But, all this visit is a must, impossible not to perform. Something we were very curious to see was the Princess Lagoon as well as the View Point and we knew that to do so we would have to look for the direction to indicate the direction along the way between Railay West and Pra Nang Cave Beach and, the truth is We found the path but sadly it starts off on a very steep climb, which unfortunately did not seem to be safe to hold with children. We do not know if this is always the case since we had read that when it rains it could be more dangerous, but if you want to do this, we advise you to be very careful and take appropriate footwear to the terrain, as slippers will increase the dangerousness of the course. This island still had a surprise because it is the residence of a community of monkeys that we had the opportunity to see up close. Of course, they do the children's delight, but just be careful if you have food with you, as they will try to take away, as they can with other objects. Keep your distance but be sure to enjoy them. We also left the council to pay attention to the hours. It's easy to lose track of time when you're in paradise, but the last boat to Ao Nang departs at 5:30 p.m., so don't be late. 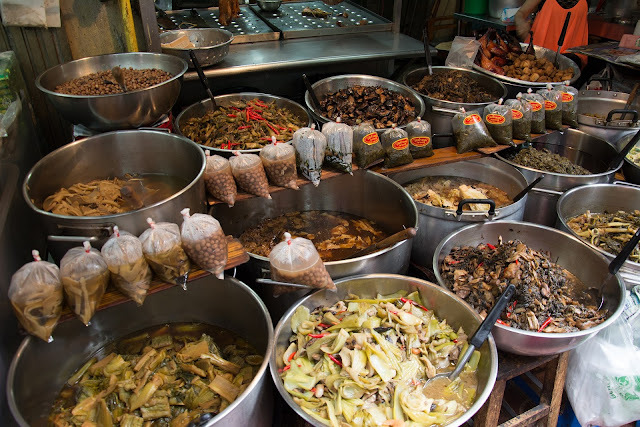 At weekends you can visit the night markets in the city of Krabi. You can easily and Ao Nang carries out the booking of the transport and that was exactly what we did. This is not a huge market but it has a great offer of traditional food, delicious and at very low prices. It is also a great place to buy your souvenirs, just be sure to haggle the price, do not accept the value that you are asked for soon. It was also possible to see some interesting shows and this turned out to be a very good night and not to be missed in the city of Krabi. Our third day was destined to one of the main attractions for travelers to Thailand, we talked about the famous trip to the Phi Phi Islands. Unfortunately, once we booked our trip, we had bad news. The famous Maya Bay, due to the large influx of tourists, was "closed" to the public for 3 months in the Low Season (June, July, and August) and we went there in July. It was with sadness that we had to deal with this news but, we must say that, even so, this was a beautiful, wonderful day and the landscapes we have seen and experiences that we live will never be forgotten. Something not to miss on your family travel to Thailand. We advise you to make your reservation to this day tour only when you arrive, because you will have a lot of offers and, for more affordable prices you will find online. In our case, the premium speed boat tour was priced at 1495 Bath each adult and 1295 child. Throughout the trip, we were given juice and water, as well as fruit, and included lunch and transfers from the hotel, as well as the return to the hotel. Unfortunately, our guide was far from being very professional but we tried that to don't stop us from making the most of our trip. Bamboo Island - The First island was Koh Mai Phi also called Bamboo island -snorkeling 30-45 minutes from the boat. Phi Phi Don Tonsai Bay - Ton Sai stop for lunch ata restaurant where Thai lunch will be served. 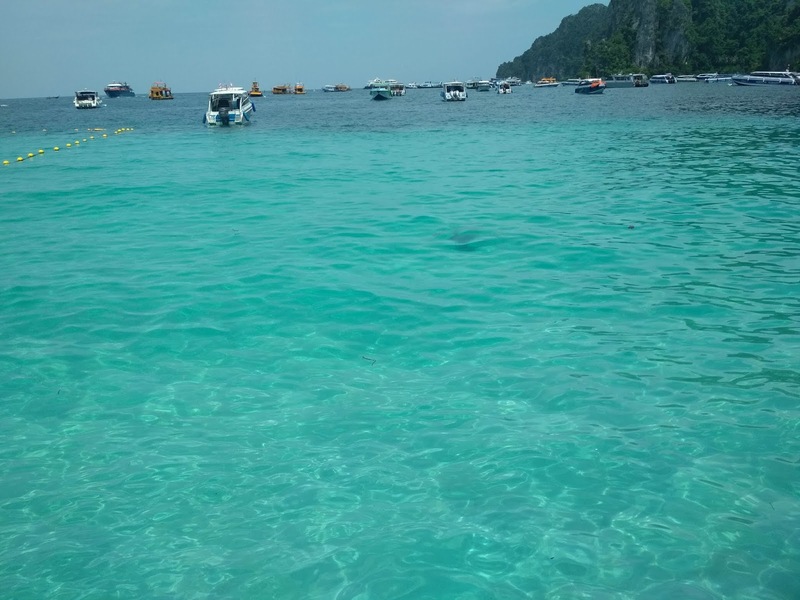 Afterwards, free time to walk along the streets of Phiphi village or sunbath on the Dahlam beach. 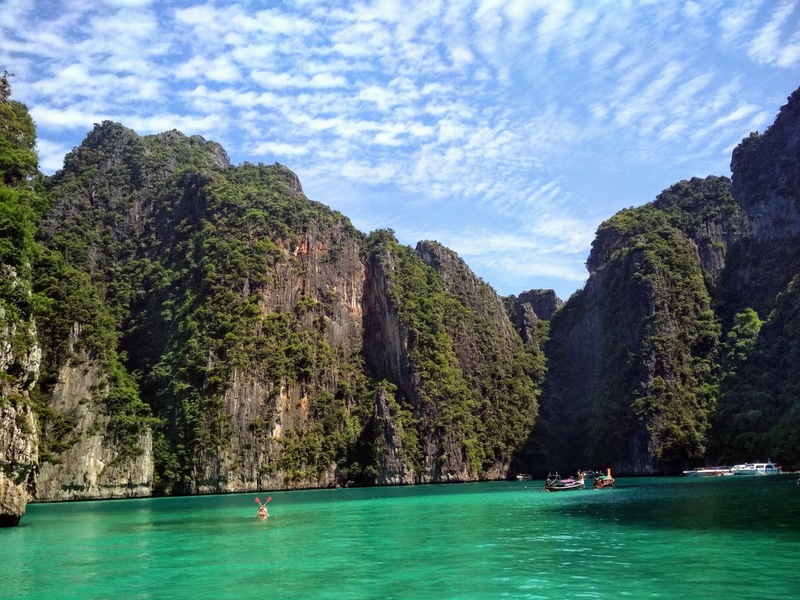 Pileh Bay & Lohsamah Bay - Loh Sa Mah and Phi Phi Lay cove. Ao Pileh is very nearly enclosed by the limestone walls of the island's cliffs, so that the water appears almost to be an island sea. 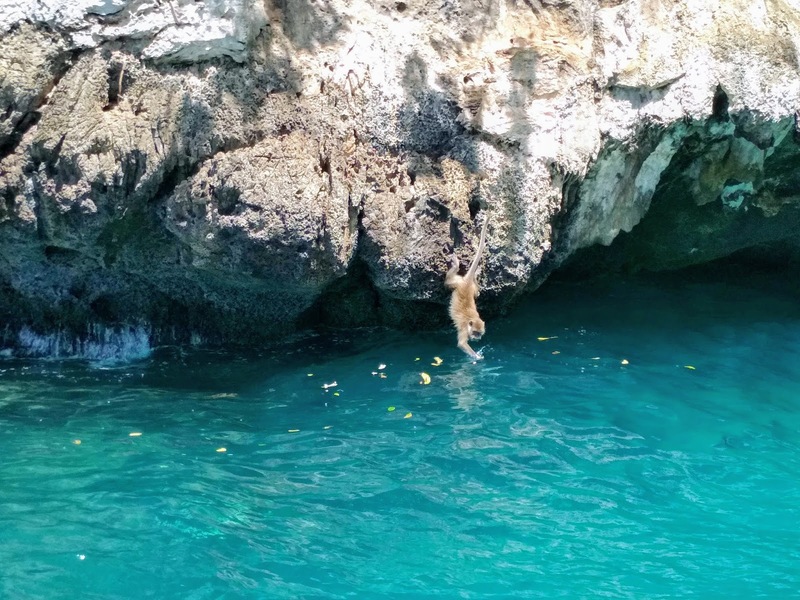 You will see Monkey's group, sightseeing, snorkeling and swimming 30 min. Viking cave- About 20 min. Viking ships then, sightseeing around Ao Nui (Nui Bay). Chicken Island - On the way back to Ao Nang, sightseeing around Chicken Island, Tup Island in a circle. At the end of the day, you will arrive tired but you will love every minute. This would be our last day in Ao Nang and we knew we wanted to spend a few hours strolling through the shops, experiencing the famous Thai massages and enjoying the latest experiences with local food. Thus, we have left aside for this day the last island, which is near Ao Nang, accessible on a small and fast journey through a longtail boat. 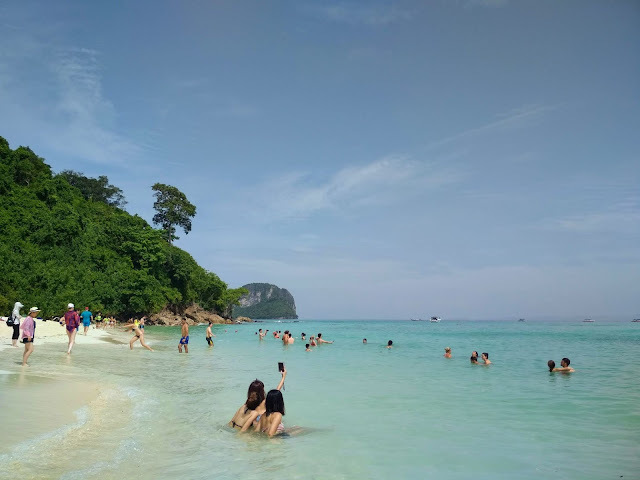 And so it was, after a good breakfast, we drove to Ao Nang beach to buy the tickets for the Poda Island (300 Bath boat ticket and 500 Bath tax to enter in natural heritage). Well, when we feel that we can no longer be surprised, Thailand always gets more. This is a beautiful island, white sand, blue water, warm and transparent and with stunning scenery. It is also a very visited island, so during the hours we spent there, there are several boats coming and going, without however taking the beauty of the island. 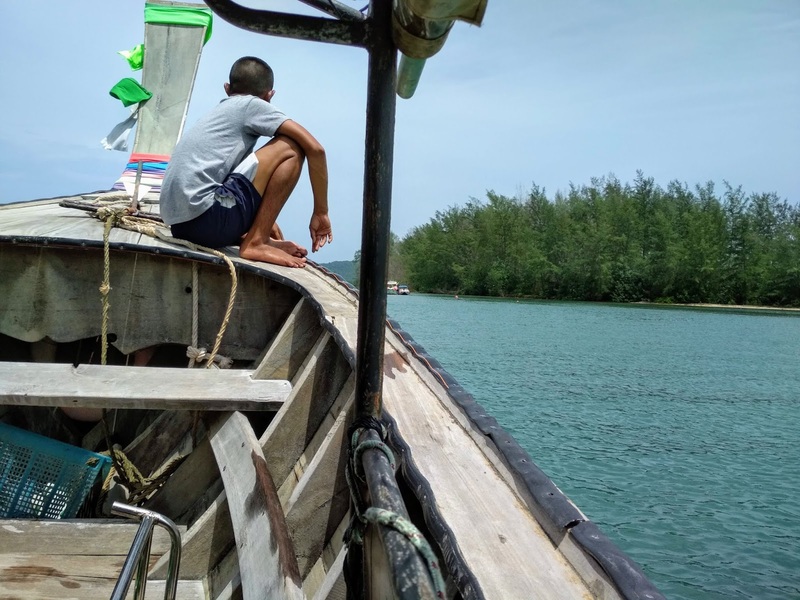 As mentioned earlier, we went to the island in low season (July) and it was possible to enjoy the island but in the height of the tourist season, you can find a lot of people. Although almost deserted, it has a restaurant where we could have lunch as well as use the bathroom, so it was perfect for the last day. After this visit, we took the return boat so that we could enjoy our last hours in Ao Nang. Do not forget to try the Thai massage, you will find prices between 200 and 300 Bath and, believe me, very good, despite the pain you will feel. After a delicious meal by the sea and after the last purchases, it was time to return home the next morning. 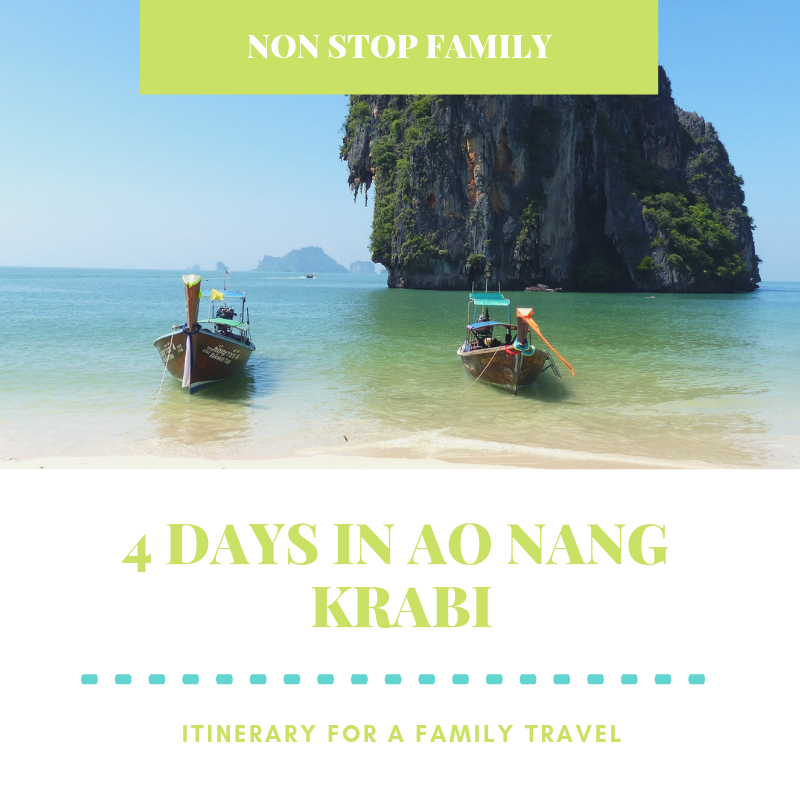 So this was our 4 days in Ao Nang, Krabi. We hope our tips help you to program your trip to Thailand. If you still don't have a place to stay in Thailand, we always do our reservations with booking, they are our partners and its with them that we get the best deals. 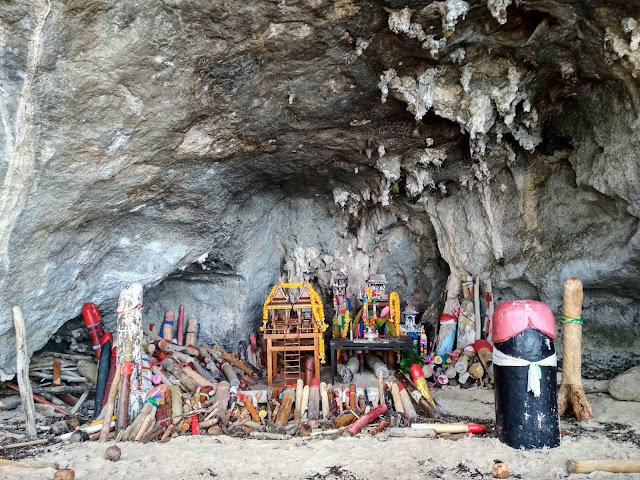 You can look for the best deals in the city of Ao Nang by clicking here, it won't cost you any money and, it helps us to support our blog. Do not forget to leave a Like, and to comment and share our Non Stop Family blog. 1- Ground Zero - WTC Memorial 2- One World Trade Center (Freedom Tower)3- New York City Hall4- Brooklyn Bridge5- D.U.M.B.O.6- Trinity Church7- Wall Street8- Staten Island Ferry and Statue of Liberty9- Katz's DelicatessenOn our third day, we drove to the most southern part of Manhattan and start with something that raises recent pains around the world, namely leaving on the subway next to Ground Zero - WTC Memorial. This memorial of the World Trade Center, in memory of the victims of 9/11, is beautifully done, beautiful, and a form of demonstration of unique respect in the world. It is located in the place where the Twin Towers used to be, and it is incredible to go through that space and feel the enormous respect for the weight of recent history. A beautiful place but that leaves the open heartache of innocent people who lost their lives on 9/11. Traveling to North America was always a dream, and the greatest of all dreams was to visit the Big Apple, New York. When we get the chance to do it, we reserved 6 nights to this family trip, which corresponded to 5 full days. 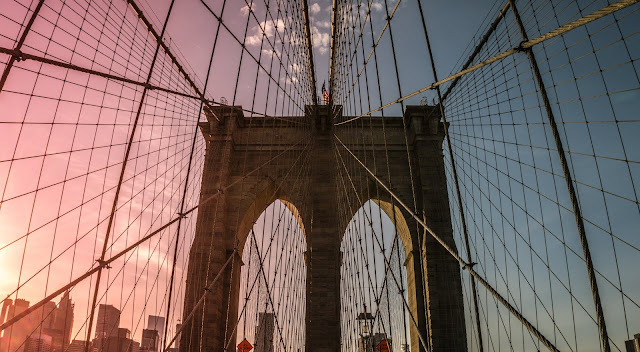 New York is huge and full of attractions, so this trip required a lot of planning and organization. 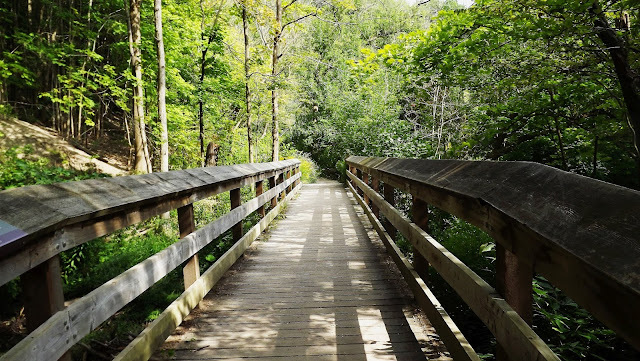 As we travel as a family, we always try to organize our trips a little, so that we can get to know our destination to the fullest, and also make the trip as pleasant as possible for our son. To make the most of our time, we did an exhaustive hotel search so that we were well located and not too expensive. 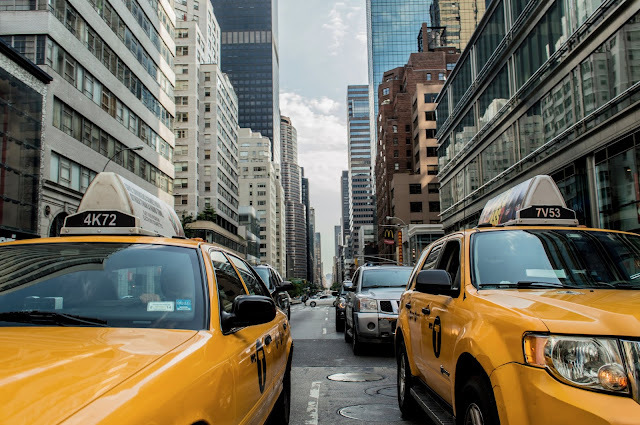 Of course, talking about extremely expensive hotel is always difficult when it comes to New York, because it is generally a city with high prices. Our Itinerary1- Madison Avenue e Chrysler Building2- Columbus Circle and Trump International Hotel and Tower New York3- Dakota Building and Strawberry Fields4- American Museum of Natural History of New York5- Lunch at Shake Shack6- Central Park7- The Solomon Guggenheim Museum and the Metropolitan Museum of Arts8- Grand Central TerminalFor our second day, we had booked for our son a huge surprise. Well, it was not surprising, because she already knew what we were going to, but it was for him without doubt the main reason to come to America, we refer to our visit to the American Museum of Natural History of New York. To make this visit, we woke up very early, something easier due to the time difference with Europe, which naturally led us to wake up very early.